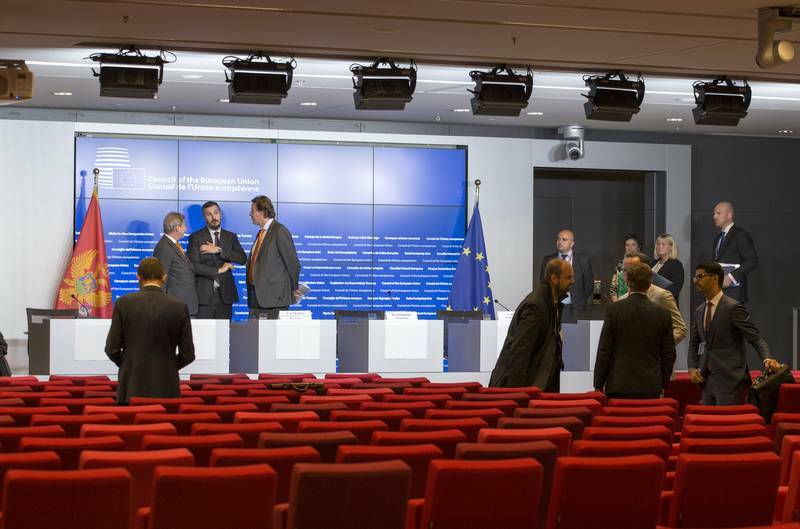 What Future for EU Enlargement? The European Union is gradually coming out of its summer vacation and concentrating its efforts on the upcoming summit of September 16th in Bratislava, during which a vision of the future of the Union needs to get drafted for the times following the June 23rd referendum in Great Britain. No doubt an important part of the talk about the future is what is to be done with enlargement, which has entered a tough geopolitical phase, but this subject will surely not be included in the 27 member state leaders’s agenda (excluding the United Kingdom), who will concentrate mainly on the problems of migration, terrorism, and the Union’s economic ailments. The past political season ended optimistically for enlargement, but this is rather a result of wishful thinking, than real optimism. Initial reactions following the decision for a Brexit were of strong emotional support for enlargement, whose goal was showing that life in the EU continues as usual and nothing changed with the British’s statement for leaving. During the already traditional summit with the Western Balkans, known as the Berlin process, on July 4th in Paris a strong message of support for enlargement was sent. It says in the declaration from the meeting that regardless of the circumstances, which followed the referendum in the United Kingdom, the future of the Western Balkans is within the EU. The document identifies quite well the main problems, countries of the region are facing – regional cooperation, solving bilateral arguments, reconciliation after the war in the 1990’s. The tone of the declaration, however, sounds like a victory has already been won on these fronts. Alas, key participants in the Berlin process have shown that declarations are not worth the paper they are printed on when we talk about accumulation of domestic political dividends, which brings enlargement back to square one. What is the status of enlargement as of September 1st? Mere days before the referendum in the United Kingdom – on June 20th – the regular intergovernmental conference with Montenegro was held. 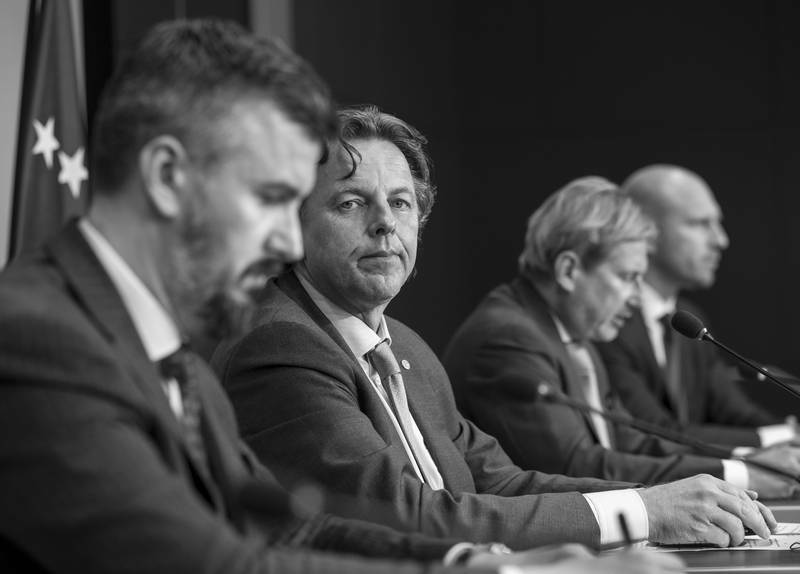 As usual, it went unnoticed, with almost zero media interest, and according to Dutch Foreign Minister Bert Koenders, the summit was important, for it created the opportunity for a review of the advance of Montenegro. It became clear from the words of the Dutch minister, that the only benefit so far from negotiations with Montenegro, are geopolitical. 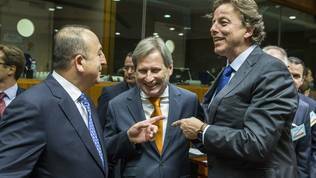 “We also warmly welcomed Montenegro's continuous cooperation in foreign policy issues and, in particular, its full alignment with all Council decisions and EU declarations”, stated The Netherlands’ top diplomat. “Alignment with all Council decisions” is an euphemism for imposing sanctions on Russia. In this sense, this is a kudos to Montenegro for imposing sanctions on Russia and keeping in line with all statements and declarations by the Union on this subject. Regarding Montenegro’s accession itself, meaning its democratisation and establishing rule of law, progress is quite limited. 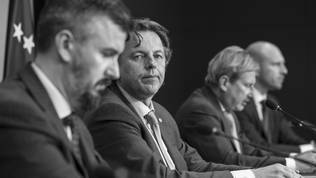 Bert Koenders expressed hope that the upcoming snap elections in Montenegro in October will not hinder the country’s progress, when it is expected to show that apart from writing and voting laws, it can also implement them. In this sense Enlargement Commissioner Johannes Hahn (Austria, EPP) was unequivocal: “The only thing that really matters is the track record about the implementation”, he said. The Dutch minister added that Montenegro is expected to show a “solid” track record in the battle against corruption and organised crime. Otherwise, Montenegro is not a source of problems for the Union. It cooperates well with countries from the region and progresses in the establishment of good neighbourly relations. Podgorica received a special commendation for signing the demarcation agreements with Bosnia and Herzegovina and Kosovo. Alas, at this stage, the agreement with Kosovo is not a success, for it did not gain the support necessary in the Kosovo parliament and was discarded. Thus, the ratification process is being postponed for an unknown amount of time. 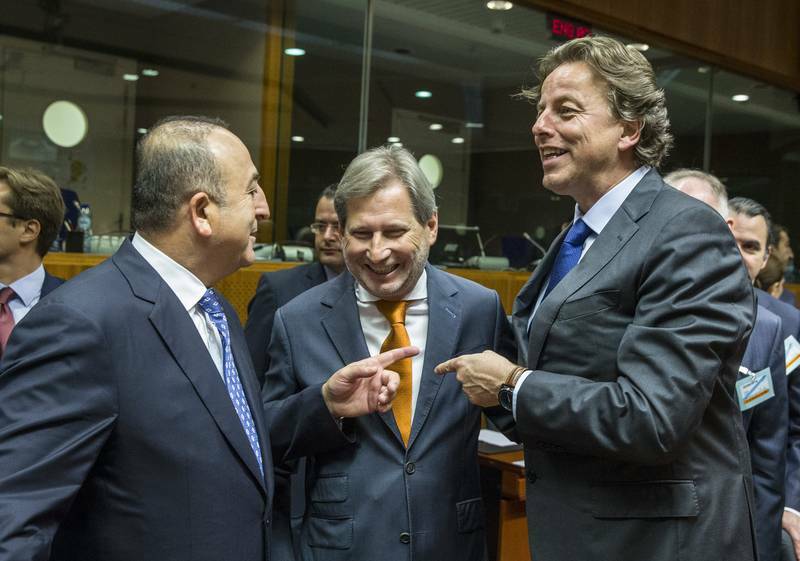 Montenegro has opened the most negotiation chapters of all candidates, but both Bert Koenders and Johannes Hahn stressed that most important is the rule of law. According to the new EU approach in the negotiations, the chapters, covering rule of law will be the last to be closed. This means that no matter how many chapters are opened, if there is no progress on chapters 23 and 24, there is practically a standstill on the candidate’s road towards European membership. On July 18 Serbia finally received the long-awaited opening of chapters 23 and 24, which are key to the process. This happened after an agreement was reached between member states to take note of the worries of Croatia, which kept vetoed the opening of these chapters for several months. Official Zagreb blocked chapters 23 and 24 after Serbia refused to cooperate with the International criminal tribunal for former Yugoslavia in The Hague, which had requested that Vojislav Šešelj be returned to the tribunal because of the problems he caused with his return to Serbia, as well as to be present at the reading of the sentence against him, which consequently turned out to be an acquittal. In order to lift the veto, Croatia requested that Belgrade cooperates intensively with the Tribunal, change the law for prosecution of war crimes by removing regional jurisdiction from it, and take care of national minorities. 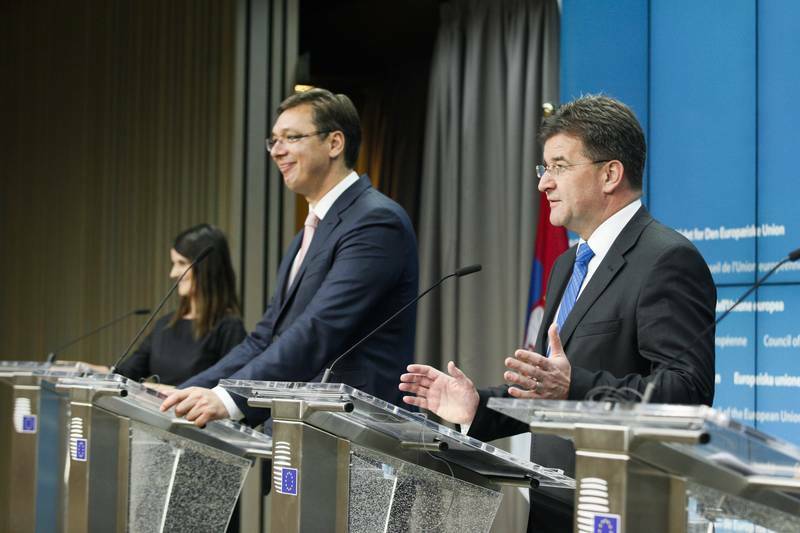 The quarrel between Belgrade and Zagreb proved too much for the EU, which already has too much on its plate. These have been opened with the understanding that Serbia will work for “meaningful” regional cooperation and good neighbourly relations in the handling of war crimes, including the aim to avoid conflicts of jurisdiction. The document on chapter 23 does not explicitly say that Serbia needs to change its law, but it stresses that such a conflict should be avoided. Exactly how this will happen is left for Belgrade to work out. Besides, the benchmarks that the EU imposed on these chapters show that the EU is very keen on “constructive cooperation” with other countries in the region, including the cases of missing persons from the war times. This is one of the issues that Croatia is particularly adamant about. Full cooperation with the Hague tribunal is also demanded. 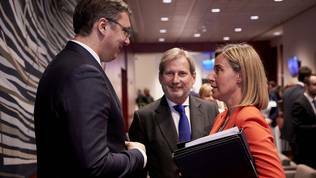 “The EU therefore underlines the need for Serbia to fully cooperate with the International Criminal Tribunal for the former Yugoslavia and with the Mechanism for International Criminal Tribunals (MICT) including by fully accepting and implementing the ICTY's rulings and decisions”, further says the document. Slovak Minister of Foreign Affairs Miroslav Lajčák (former international community High Representative for BiH and EU Special Representative for BiH), whose country took over the rotating presidency of the Council on July 1st stated that the opening of these two key chapters is a considerable step forward in the accession negotiations with Serbia. “It is not only a positive news but also a powerful message. Namely - once the candidate country delivers on its necessary homework, the EU moves it in the accession process”, said Mr Lajčák. Commissioner Johannes Hahn also spoke with great flair and the press conference gathered unprecedented media interest. Serbian Prime Minister Aleksandar Vučić, while thanking for the trust, aimed a provocation (it remained unclear whether it was intended) at the EU by mentioning first the just stepped into office British Minister of Foreign Affairs Boris Johnson – leader of the Brexit campaign. Vučić mentioned that Mr Johnson congratulated him on the occasion of the decision. July 18th was the first appearance of Boris Johnson to the Foreign Affairs Council after the Brexit and changes in the British government, following the resignation of David Cameron as Prime Minister. Later Mr Vučić thanked especially “our friends from Hungary, our Bulgarian friends, and everyone else.” Until recently the only subject of his gratitude was German Chancellor Angela Merkel, who was not mentioned at all in Mr Vučić’s statement this time. He promised that Serbia will protect regional stability and will work for advancement of the rights of minorities, but made no mention of war crimes and the conflict with Croatia. When asked about them by the correspondent of the Croatian daily newspaper Vecernji list to Brussels, Tomislav Krasnec, Aleksandar Vučić replied that he wished not to interfere in Croatian affairs and did not wish to score political points “by answering cruelly to our Croatian neighbours”. Serbian PM reminded that many states like Belgium, Germany, France, and Spain have almost identical laws about universal jurisdiction. The events that transpired after the opening of chapters 23 and 24, which it could now be said that the negotiation process has truly started with, pose the question whether the EU did not encourage hostility between Belgrade and Zagreb. Once back to Belgrade from Brussels, Aleksandar Vučić changed the tone and the war of words between Croatia and Serbia went on over the entire summer, with the active participation of former Croatian PM Zoran Milanović, who prepares to lead the country again after the snap elections of September 11th. 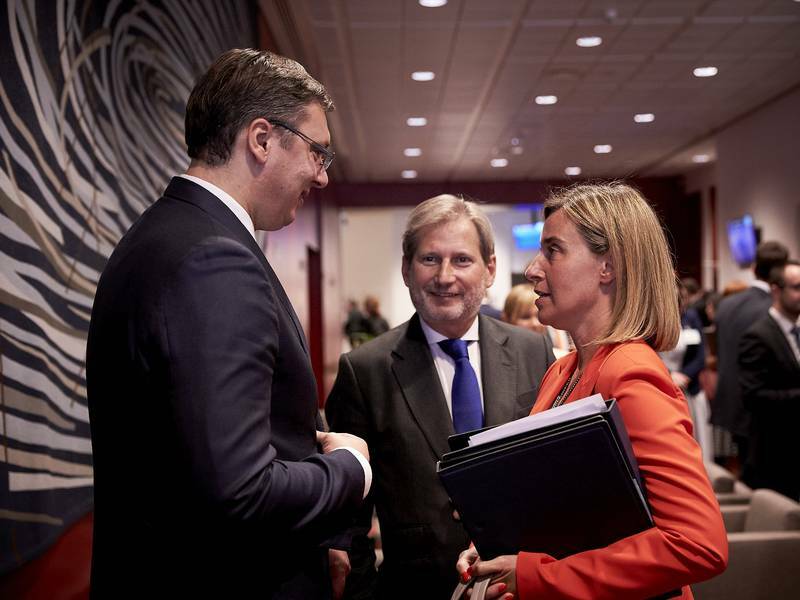 Serbia acted as if Brussels is on its side in its conflict with Croatia. Relations between the two states deteriorated to the point where the Serbian PM wrote a letter to the leaders of European institutions complaining about Croatia’s behaviour, but received a lukewarm reply from EC boss Jean-Claude Juncker (Luxembourg, EPP). In his letter, Mr Juncker called both sides to reconcile their problems in the spirit of European values and views regarding the victims of war. It is important to note that the exchange of words is not between official Zagreb and Belgrade, but between official Belgrade and the Croatian opposition leader Zoran Milanović. Aleksandar Vučić decided not to reply directly to the letter of the EC president, whom he said he “deeply respected”, but instead he let is “spokesperson” on regional matters Aleksandar Vulin, otherwise Minister of Labour, Employment, Veteran and Social Policy, talk at length on the subject. At a moment when it is very important to the EU that Serbia stands geopolitically at its side both regarding stability in Bosnia and Herzegovina and in a wider sense regarding Russia, Aleksandar Vulin stated that Jean-Claude Juncker’s letter “makes it very complicated for the Serbian government to explain and make its European orientation acceptable by the citizens”. This is an unequivocal hint that if the EU does not play by the Serbian authorities’ whistle, they could easily give up on the already not so attractive European Union. 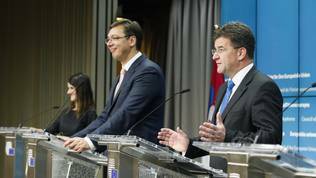 Such decision by Serbia will create very serious problems to the EU through instability on the Balkans, which are already boiling with problems anyway, the resolution of which the EU no longer is, nor is it capable of offering a remedy. Kosovo is shaking with political conflicts, tension is growing in Bosnia and Herzegovina due to the possibility that a provocative referendum is held in the Serbian entity Republika Srpska, the political crisis keeps going in Macedonia, although there is finally a date set for new elections – December 11th, Skopje is expecting opening of chapters and nothing less from the EU, as it became evident by the speech of President Georgi Ivanov during the ceremony of accepting the letters of credence of the new EU representative to Macedonia, Samuel Žbogar. President Ivanov said that the membership of the former Yugoslav republic continues to be the highest strategic goal and expressed hope that European integration processes be unblocked as soon as possible. This would mean Greece lifting its veto over Macedonia’s negotiation process. “Any delaying of this process will seriously affect the pace of reforms, the level of political culture in the country, and the culture of dialogue and compromise”, warned the Macedonian president and added: “If even after the next elections Macedonia does not receive a date and start accession negotiations, it is just a matter of time before we collide with the next political crisis”. He reminded Mr Žbogar, that such a turn of events would undermine Macedonian citizens’ trust in the EU, who see membership as a factor for a better future, in Georgi Ivanov’s words. Turkey, however, remains the largest millstone hanging on the neck of enlargement. On June 30th the next chapter in negotiations was opened, but rules and criteria no longer matter in this too long foreplay between the EU and Turkey. Priority number one to Ankara at the moment is the liberalisation of visas for Turkish nationals, articulated as an ultimatum that if this should not happen, the deal for holding refugees is off. To the EU the most important thing is that there are no more refugee waves, for member states can still not agree on what to do with the ones already on the territory of the Union. The accession process is tangled in mutual accusations of who is applying what double standards. The EC insists on applying the accession template, Ankara claims, that it no longer fits, and member states are not unanimous in their positions on whether they can ever imagine Turkey in their ranks. There are more and more voices heard that Turkey should still be kept within the European orbit, so that it does not flee to the enemy camp, as it was laconically explained by the boss of the European Parliament’s foreign affairs committee, Elmar Brok (EPP, Germany), in the first serious debate in the committee after the summer vacation. 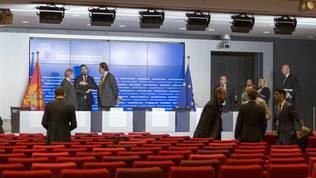 The EU ended the previous political season hoping that things will somehow work out by themselves, but in the new political season member states will have to face the unpleasant facts of long neglected problems in the enlargement process and find a solution. Otherwise they will have to take the consequences. The Union needs to be more active in enlargement countries, especially those of the Western Balkans, where it is still possible to salvage something. Intermediary contacts are needed at every level, including by European political families, which need to put a leash on their own and restrain them from playing with matches around the fuse of the Balkan powder keg. In this sense it is good news that the party of Aleksandar Vučić – the Serbian Progressive Party (SNS) – is due to join the EPP, because this lends one more instrument for influence. The European Parliament needs to involve the countries in a dialogue not just on their own, but on European subjects as well – call their leaders to debates, listen to their views on their countries and on what EU they want to be members of. Declarations like the one from Paris on July 4th are an obsolete instrument. What is needed are actions and European unity. The largest challenge to the EU this autumn will be proving both to itself and the enlargement countries that it is more than ever a peace project, because the exit of Great Britain, as painful as it is, will hardly pose serious risks for the Union’s security, but a failure of the EU in integrating the countries from the former Yugoslavia would be a direct threat to peace on the continent.